Remember the Litter-Robot III Open-Air? It is an automatic litter box that accommodates multiple cats, reduces litter waste, and manages odor in your home. It has a large opening and automatic night light. If you own one, you are going to be happy to know that these robots are getting app control. 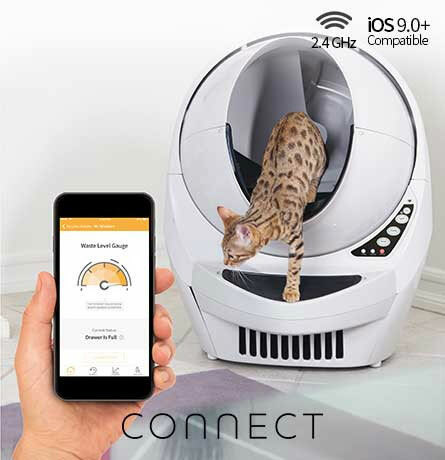 With the Connect Kit, you will be able to add WiFi functionality to your litter robot. The app lets you monitor and control multiple Litter-Robot units. You can see the waste drawer level, monitor your cat’s litter usage, and more.